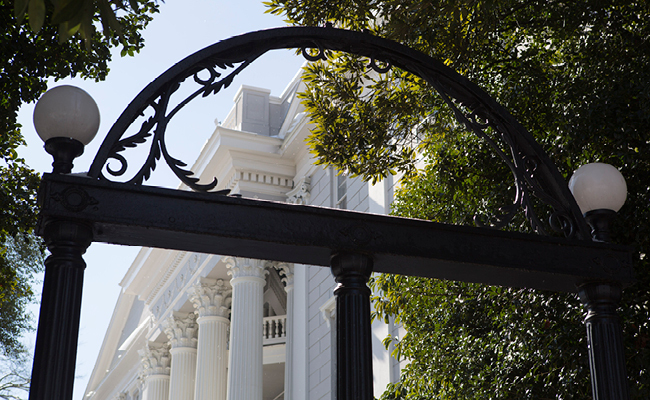 The University of Georgia has announced the promotion of six five members in the College of Engineering. Stephan Durham, Jenna Jambeck, Sudhagar Mani, Leidong Mao and Yajun Yan have been promoted to professor. Their promotions are effective July 1. Durham teaches civil engineering courses in the School of Environmental, Civil, Agricultural and Mechanical Engineering and conducts research related to structual materials, concrete material properties, beneficial re-use of waste stream materials, and structural evaluation. In addition, he serves as the College of Engineering's assistant dean for student success and outreach. Jambeck, a member of the faculty in the School of Environmental, Civil, Agricultural and Mechanical Engineering, conducts research and teaches environmental engineering with a focus on solid waste. Her work often interweaves social context and sciences with technical aspects. She has conducted numerous research projects including those related to contaminant fate and transport during waste beneficial use, chemical fate and biological processes within disposal systems, sustainable and innovative waste management practices, marine debris and plastic pollution. Mani teaches courses in the School of Chemical, Materials and Biomedical Engineering. His research interests include biological and chemical process modeling, sustainable biomass feedstock supply logistics system, and novel routes to produce nano-size cellulose, chemicals & biocomposites. Mao creates opportunities for students to conduct cutting-edge nanotechnology research. A member of the faculty in the School of Electrical and Computer Engineering, his research interests include nanoscale magnetism and its application in biomedical applications such as cell sorting, single cell study, droplet microfluidics, hyperthermia, and magnetic nanomanipulations. Yan is director of the Biosynthetic Engineering and Biocatalysis Laboratory and teaches courses in the School of Chemical, Materials and Biomedical Engineering. His research focuses on developing enzymatic and microbial approaches for the production of pharmaceutically important compounds, fuels and renewable chemicals.